guys. Or maybe in the process of upgrading your App world, it disappeared. Phones are like humans, after sometimes, they get weakened and develop problems. Just feel free to relate it to the house lets solve it together. How do i root my tecno D3? Here is a simple Android Application that would help you Root your Android Phone simply installing and running it without making use of Pc. ===> On your Android Device, go to Settings > Applications, click the checkbox Unknown Sources and save. ====> Download and Install the Universal AndRoot. ====> Launch the Application and then click on Root. (Make sure you select your Version of Android Phone). Your Android phone would be successfully Rooted. Firstly you will need to install the blackberry desktop manger, it normally comes in a CD when you purchase your BB phone but can easily be downloaded from the internet. 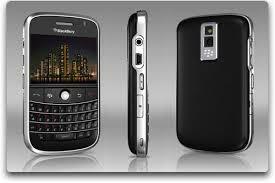 An additional software to download would be BBSAK, its used to back up BB applications and restore them among other functions. Lastly you'll need to download the version of the OS you want to install. a simple way of getting this is by visiting blackberryrocks.com and trace a suitable OS from there. 5.remove the battery den plug the phone via USB to the computer go to C:Program Files (x86)Common FilesResearch In MotionAppLoader and click on the application "apploader.exe"
9.once the installation is completed use the same process to restore your applications back to the phone and also to restore the backed up data from the blackberry desktop manager. That's it and you are done for real. ==>Click on the links till you get to the last downloads link where you will see the name of the file and the link "open". That's it so easy and simple. If you are confuse, don't hesitate to ask your question. What type of opera are you using? handler or? the reason why the hotshield is not working on Techno N3 is because of the network. If you can get a good network, it will work fine. i recently got the galaxy s4 and when i try to update their s health app it redirects me to the samsung app store and gives error 4002- this product is not available on this store. please do you have any ideas on what to do.. This simply means that the S4 health at the moment is not available in Samsung app store; you might consider downloading a related app to S health since the other is not available for now. "use jar1 to download jar". STEP 1 >> to download, just click on d dwnload page and u wil see two Link says SAVE and OPEN den click on d save..
press YES, and your download will begin. If this does not work for you, i will suggest you download a new opera handler. lεɑ̤̥̈̊§ξ help I cnt save page on M̶̲̥̅γ̲̣̣̥♡̬̩̃ opera 7.1. It always says FAIl T̶̲̥̅̊Ợ̣̣̇̇̇ SAVE †ЂΞ PAGE.. What could be †ђξ problem? Morning mr prof n d whole House!! I'm actually a JJC ere.. buh I've seen reasons y i must Always visit ere daily!! My ques r simple…. as 4me i don't nid d magic sim,all i want is for my month bbc 2b unlimited!! My ques r ds, must i change 2 pulse b4 i send 2h to 131? Can i activate it now or wait until my dataplan hs bn exhausted? First of all, you are welcome to this site. To make your BIS unlimited, you must first of all activate the 2hrs plan. The hours plan will crack it to unlimited. You can only activate the 2Hrs plan when you exhaust your bbc data plan before the expiration period; if not it won't work at all. But this days, activating the 2Hrs plan seems to be so difficult. If you wanna do that, call custormer care to activate it for you. My hotspot shield is sayin buy nw,u av 5 days remainin. Hope deres is no problm wit dat prof? Kabiru? their is no problem with that but after the expiry date, it will begin to show unnessary ads. No no no. Just browse for like 15 min then remove the sim and keep it for 48Hrs, after then, browse until your your normal expiry date bro. please prof i need your help badly o!!!! my problem is my mtn blackberry subscription work on my pc, ipad but refuse to work on my galaxy note2. ive tried both apn's 'web.gprs.mtnonline.net', blackberry.net. password:web, username:web. Prof i av a problm wit my laptop pls. Frmaly i was usin avast anti vrus on it after a yr+ i tryd unistalin d avast bt d task wasnt sucessful, it neither alowd me to instal d recent avast nor unistal d 1 on it. Latr i used a software cald force unistaller to unistal d 1 on it, it was sucesful,bt d avast folder is stil on my program file whch av tryd deletin through al means bt was unable 2. This has preventd me frm instaln anoda avast. Any solution to dis prof yomi? This is what i will suggest you do, back up all your files and program in a reliable hard disk and simply perform a system restore back to the time you install the avast. once the restore is complete, totally and thouroughly defragment your hard disk. To do that, type on your search menu "disc defragmenter" and it will come up. first of all analyse before you defrag it. Please get do reply if you have any further questions. pls hw do i configure dis symvpn for my symbian fone?? the easiest thing to do is to upgrade your your BBM to the latest version of BBM from Blackberry App world. That's what i did to mine. 1.Request for MTN Default Settings for Browsing by sending settings to 3888! Dont create the Access Point yourself… After you receive and Save it, Then Proceed! ,Then click on STREAMING >> PROXY [set it as NO], press back and click on NETWORK [use the Settings below]..
==> Default Access Point (MTN), the Settings you received. Save and jump to step 3. @yomi..whenevr i open like 3app or more my phone will just be hanging.am usin nokia n97..
@Anonymous, i think for now the tutorial i have majourly based on Poot and Ministro. @Ben… indeed it is prison break season 4..lol! To circumvent this unwarranted limitation placed by Apple, you will need to jailbreak your device and install an app from Cydia. The name of this app is called 3G unrestrictor 5.0.1. When downloaded from the Cydia, you will need to add App Store to the apps you wish to enable 3G Unrestrictor for. This will automatically select iTunes. Once you have added App Store to the list, you can then download your apps. The same go for iBooks. Just add it to the list. Henceforth, you can download any app irrespective of the size. ''Rooting'' means getting Superuser privileges and permissions to your Android's software. It is more like hacking your device. When you get an Android device rooted, you would have the ability to modify your ROM (changing it to Read or Write), increase battery life, install custom ROMs, install custom theme, increase performance, etc. These are just some of the examples of what your can do after rooting your device. STEP 3: Launch Poot. It will require you to download extra QT libraries for Ministro to run. The libraries are about 10MB. After downloading the libraries, your device might reboot automatically. If it doesn't, restart your device. Click on the first button to poot and wait till you have 3 buttons, That means you are now rooted. STEP 5: Now, download Super User app from the Google play store. This app grants and manages super user rights for your device. hey ben read my reply above, i have replied to your post with step by step approach on how to do that. @yomiprof, i followed all dis steps but wen i press here 2 poot my fone jst off. it wont on unless i removed d ba3 bcos i left d fone wen it was off 4 more dan 20mins. So wat will i do nxt bro? tnx. What type of Android device are u using? N3 bro, av done it but is dere a way i cn increase d internal memory on my fone. Tnx 4 d update. my android wifi can not find and connect to my laptop, cus am using a modem . how can I make it see my adhock wifi of my pc? @prof yomi pls am still waiting for ur reply on how to make my Samsung galaxy wifi connect to my laptop wifi? @Dubem Onah, tanks for being patient. I am going to engage you in a four step tutorial that will enable you to connect your Samsung galaxy wifi to Laptop. In configuration section, add SSID. SSID is wifi name. We can give any name as wifi name. (1)Open: In open security any one can access our wifi connection. That is no authentication while connecting. (2) WAP 2 PSK:In case of WAP 2 PSK connection, we can set password for the wifi connection. So that if any other user attempt to access the wifi connection, it prompt password . But once you are done with this settings, hit save the wifi hotspot configuration is finished. Now , attempt to search from your laptop or wifi enabled mobile and you see the SSID we given. Connect and enjoy browsing. @professor yemi its how to connect my Samsung galaxy to my laptop because am using a modem to browse and when I share internet network for others they connect but my galaxy tab never find my laptop to connect to. how can u help me? Did you enable wifi on your S/Galaxy tab? pls mr yomi. wen am tryin 2 update d ministrol, its sayin invalid Qt. i even redownload poot and launch it but still d same. pls wat else cn i do bcos i nid 2 root it. @Kola, what type of Android device do you want to root? pls boss, i even off my and restart it but still d same. jst 2 update libraries and it kept sayin QT invalid. invalid Qt version, pls help mi yomi coz i jst use sum days on my bb subscrtn b4 mtn block'd it. Mr Kola, please whch method of rooting did you use in attempting to root your N3? i download poot and then installed it. wen i open it, it ask'd 2 download ministro, so i download it. But wen i open d poot in oda 2 update d libraries. it's kept sayin invalid Qt version. i off my fone even removed d sd card but still d same. i installe'd it on internal memory and later installd it sdcard but still d same. I beleive you downloaded Poot from google play and just like like you said installed it on the internal memory. Just install POOT apk to internal memory and run the apps. it will require you to install MINISTRO II, you'll get -error like "update minstro library", just update through google play store. If you still get thesame "invalid Qt" error message, then you will need to use the Unlock root Method to root your N3. It's still d same. Dis wat it sayin, poot nid extra libraries to run. Do u wnt 2 download them now. i click ok, then it run 4 sum secs and say invalid Qt version. Mayb u shld tel mi d unlock root method. Tnx alot bro. Save and install on your PC or laptop then run the executable (.exe) file. To get this done,use your USB cable to connect your Android phone to the PC. Then click on the ''root button'' from the Unlock-Root software interface.There you will see a list of the supported device.From the list displayed, select your type of Android phone and then begin the rooting process. When the rooting process is completed, you will receive a message confirming that rooting is completed. Tnx alot mr yomi, may god continue 2 help u.